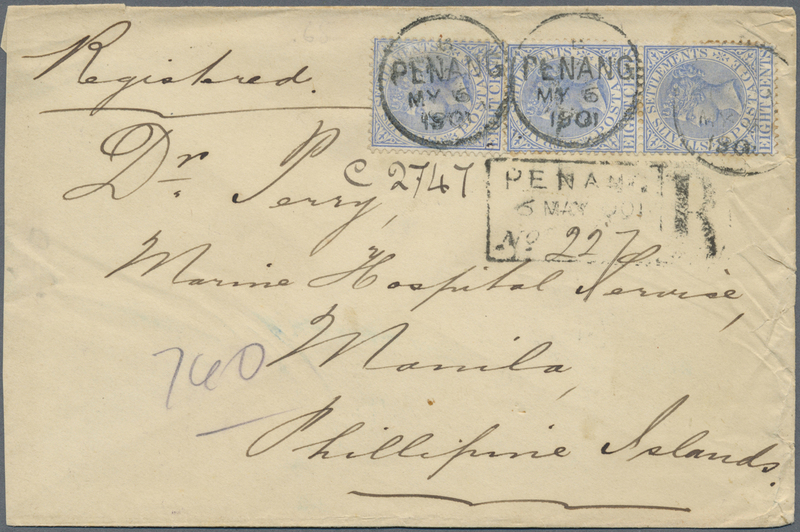 Malaiische Staaten - Penang: 1901 Registered cover to Manila, Philippine Islands franked 1892-99 5c. 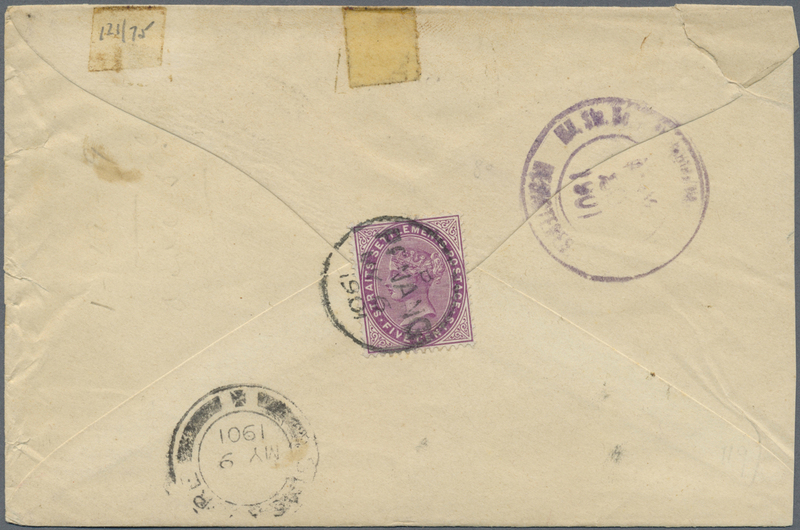 1901 Registered cover to Manila, Philippine Islands franked 1892-99 5c. magenta (on back) and 8c. vertical strip of three all tied by "B/PENANG/MY 6/1901" cds, Reg. cachet alongside, Singapore transit cds and Manila arrival cds on the reverse, minor imperfections as creases but still an attractive cover, and a scarce destination.